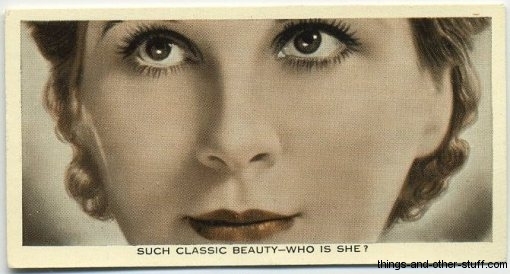 This is one of my favorite tobacco card sets. 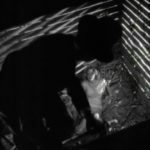 "Who Is This?" 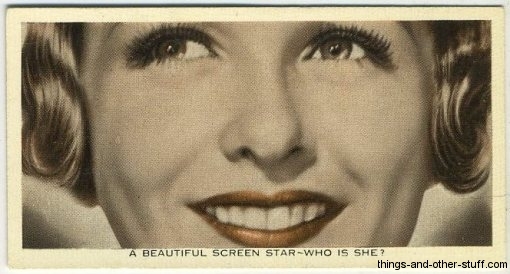 asks you to identify the movie star based just about entirely on their eyes, nose and mouth--the reverse side of the card tells you who it is and includes a brief biography. 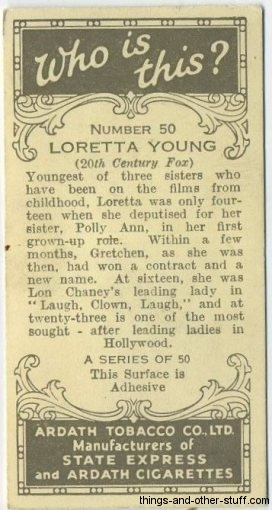 The back also contains the text "This Surface is Adhesive" as there was also an album available for the cards to be housed in--obviously the cards with clean backs are more desirable than those which have been removed from the album. 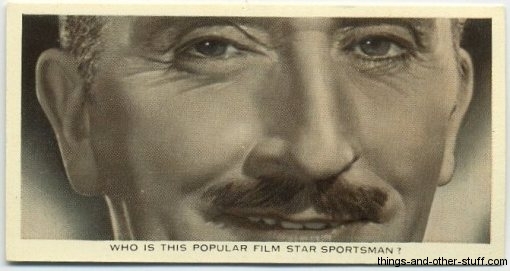 There's a glossy finish in the front of the cards and a little clue in the form of a question to entice a guess of "Who Is This?" inside the bottom border of each card. 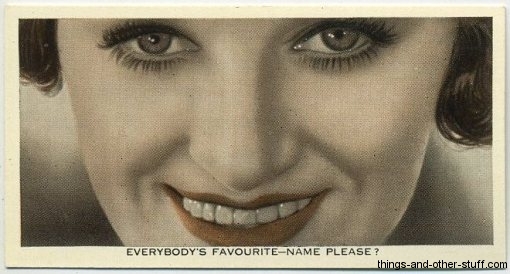 The following gallery includes images of all 50 cards from the 1936 Ardath Who Is This? 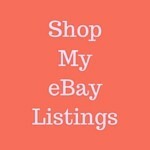 set of Tobacco Cards. Just click on any image to open to full size and from there you can scroll through them all. 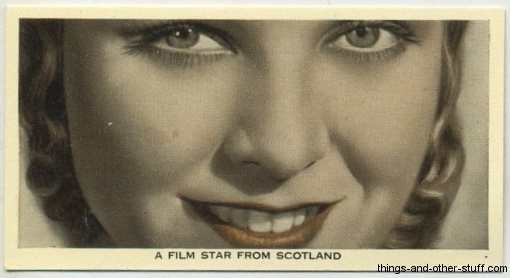 Format: Card number - Name of Film Star - Question from front of card. 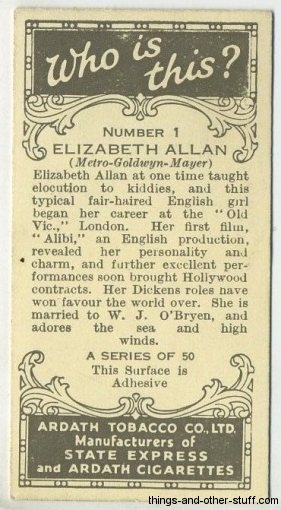 1 - Elizabeth Allan - Who Is This Winsome English Beauty? 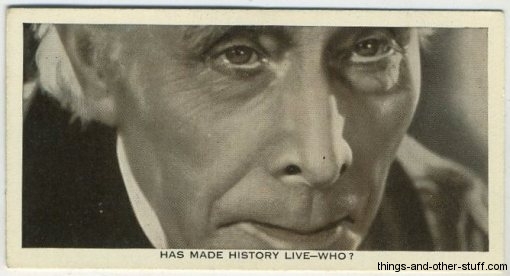 2 - George Arliss - Has Made History Live--Who? 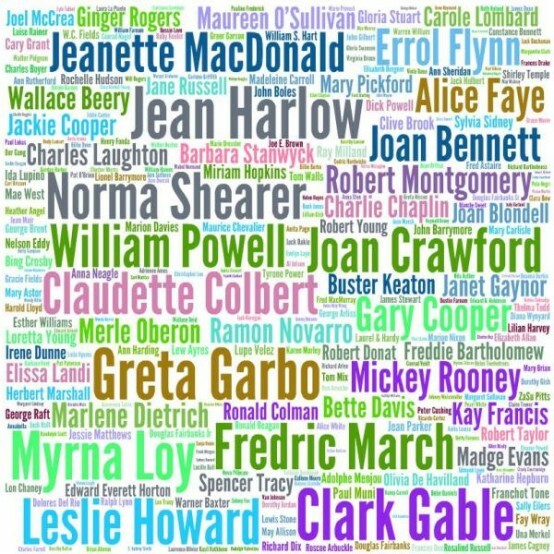 3 - Yvonne Arnaud - Who Has So Intriguing An Accent? 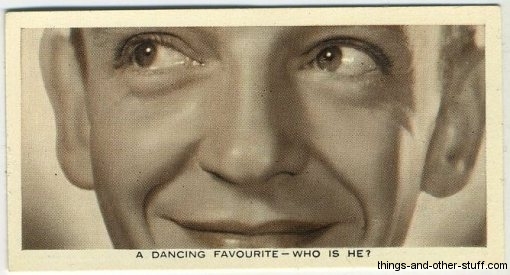 4 - Fred Astaire - A Dancing Favourite--Who is He? 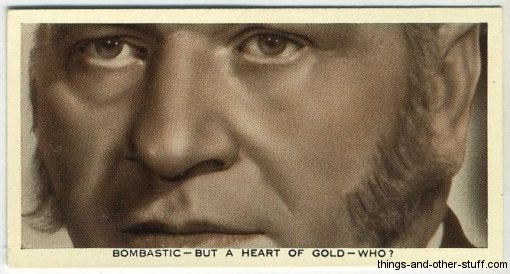 5 - Wallace Beery - Bombastic--But a Heart of Gold--Who? 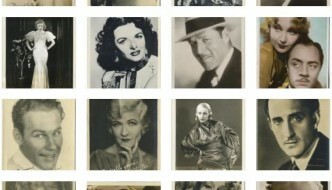 6 - Joan Bennett - A Beautiful Screen Star--Who Is She? 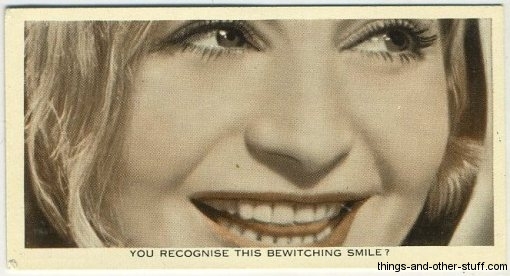 7 - Elisabeth Bergner - You Recognize This Bewitching Smile? 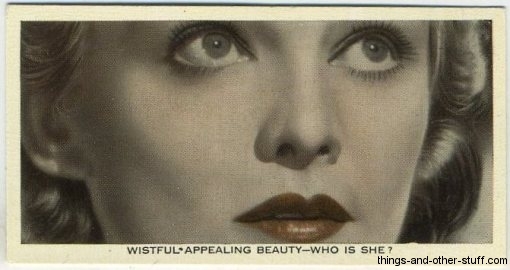 8 - Madeleine Carroll - Wistful Appealing Beauty--Who Is She? 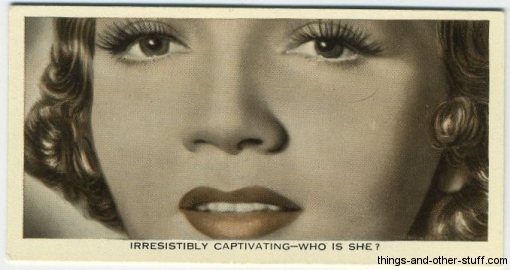 9 - Claudette Colbert - Irresistibly Captivating--Who Is She? 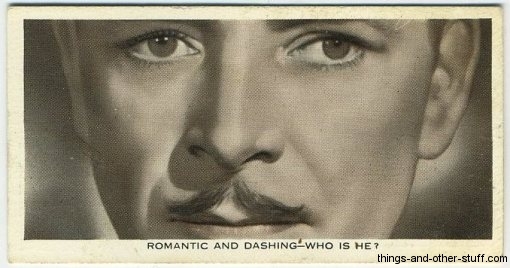 10 - Ronald Colman - Romantic and Dashing--Who Is He? 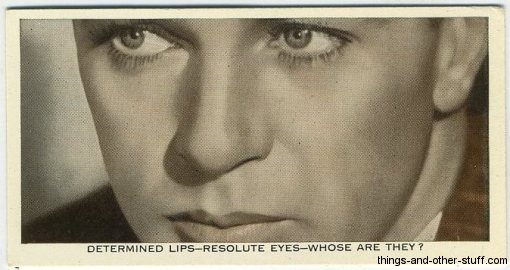 11 - Gary Cooper - Determined Lips--Resolute Eyes--Whose Are They? 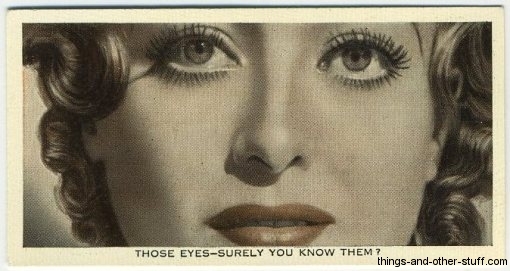 12 - Joan Crawford - Those Eyes--Surely You Know Them? 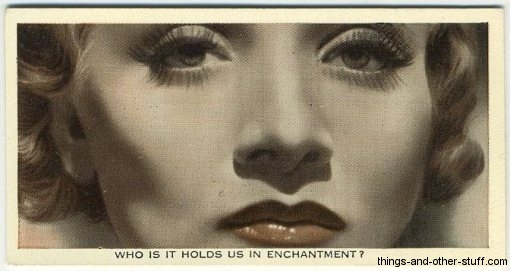 13 - Marlene Dietrich - Who Is It Holds Us In Enchantment? 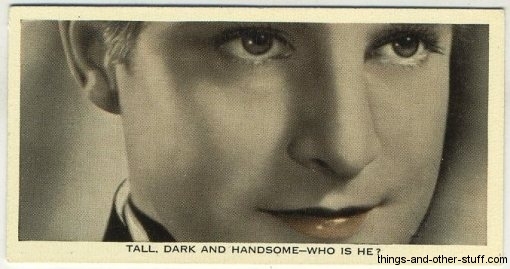 14 - Robert Donat - Tall Dark and Handsome--Who Is He? 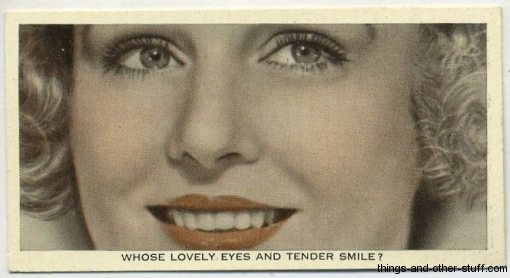 15 - Madge Evans - Whose Lovely Eyes and Tender Smile? 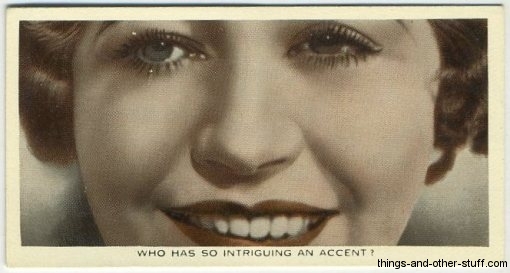 16 - Gracie Fields - Everybody's Favourite--Name Please? 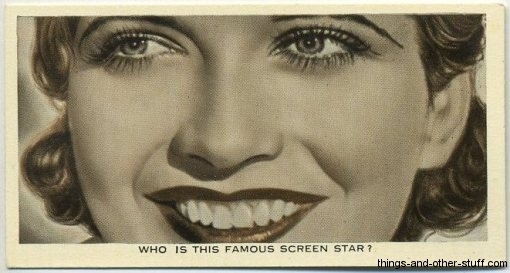 17 - Kay Francis - Who Is This Famous Screen Star? 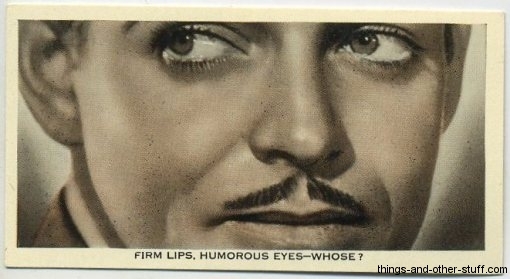 18 - Clark Gable - Firm Lips, Humorous Eyes--Whose? 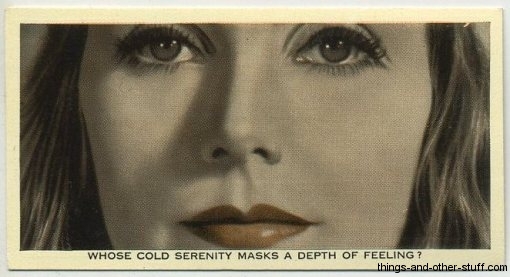 19 - Greta Garbo - Whose Cold Serenity Masks a Depth of Feeling? 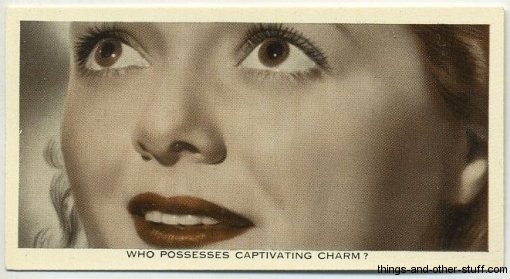 20 - Janet Gaynor - Who Possesses Captivating Charm? 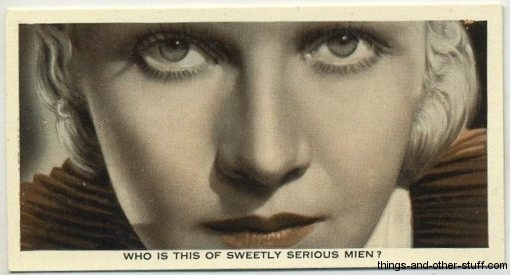 21 - Ann Harding - Who Is This of Sweetly Serious Mien? 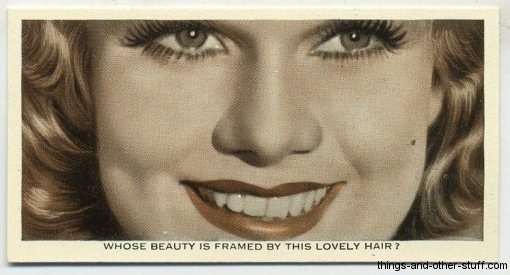 22 - Jean Harlow - Whose Beauty Is Framed by This Lovely Hair? 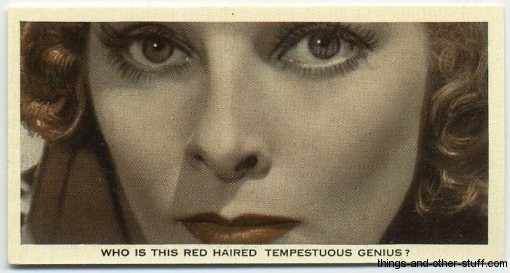 23 - Katharine Hepburn - Who Is This Red Haired Tempestuous Genius? 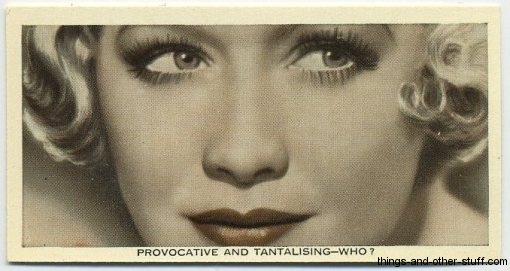 24 - Miriam Hopkins - Provocative and Tantalising--Who? 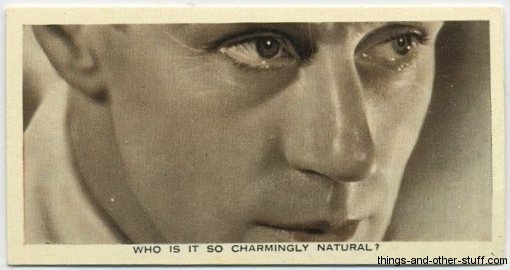 25 - Leslie Howard - Who Is It So Charmingly Natural? 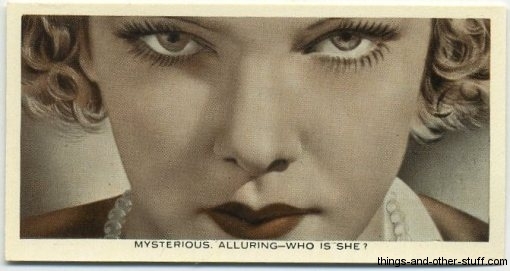 26 - Elissa Landi - Mysterious Alluring--Who is She? 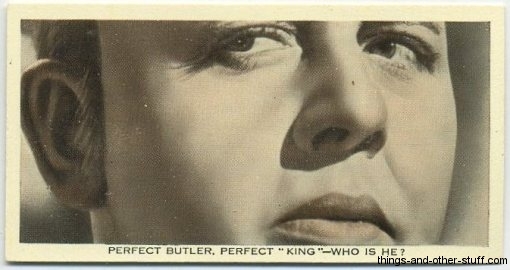 27 - Charles Laughton - Perfect Butler Perfect "King"--Who is He? 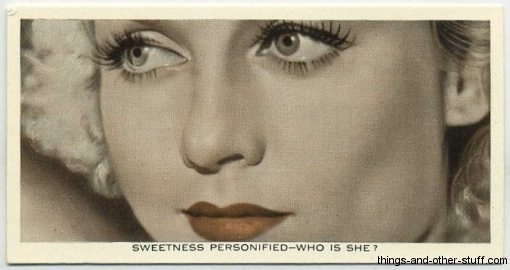 28 - Carole Lombard - Sweetness Personified--Who Is She? 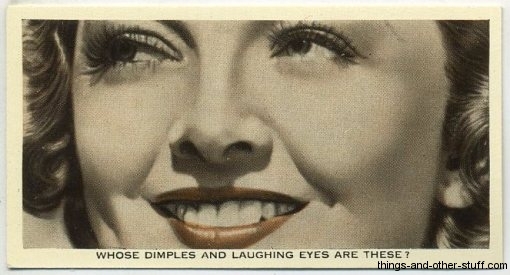 29 - Myrna Loy - Whose Dimples and Laughing Eyes Are These? 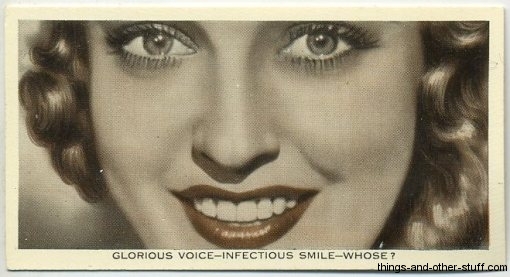 30 - Jeanette MacDonald - Glorious Voice--Infectious Smile--Whose? 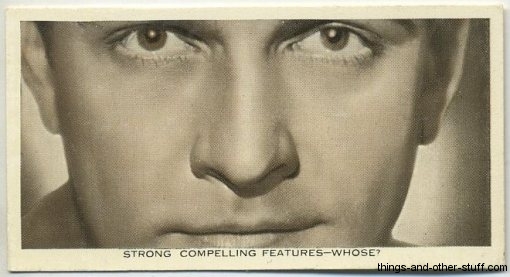 31 - Fredric March - Strong Compelling Features--Whose? 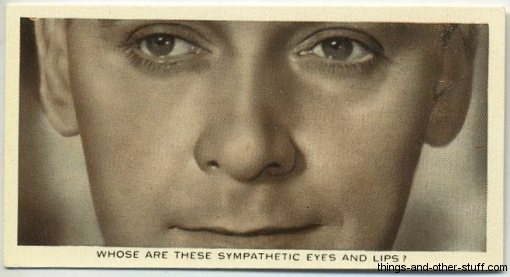 32 - Herbert Marshall - Whose Are These Sympathetic Eyes and Lips? 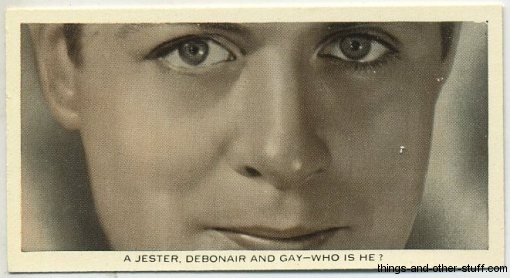 33 - Robert Montgomery - A Jester Debonair and Gay--Who is He? 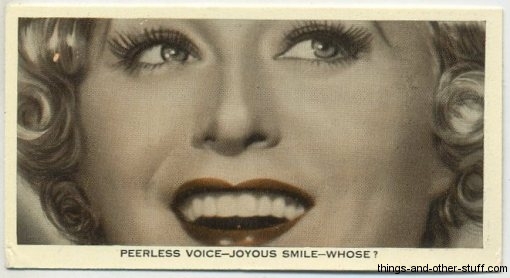 34 - Grace Moore - Peerless Voice--Joyous Smile--Whose? 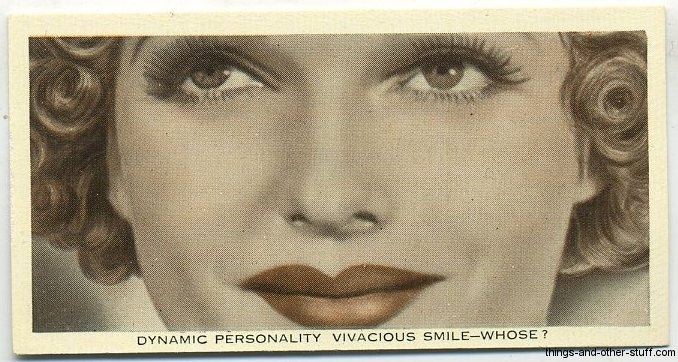 36 - Anna Neagle - Dynamic Personality Vivacious Smile--Whose? 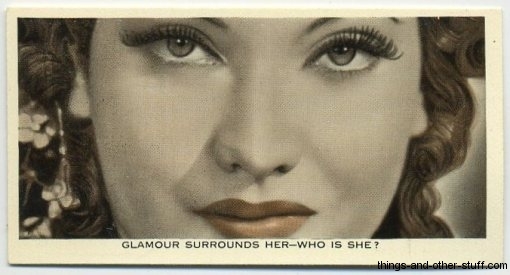 37 - Merle Oberon - Glamour Surrounds Her--Who is She? 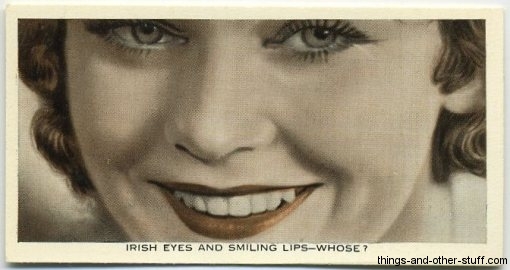 38 - Maureen O'Sullivan - Irish Eyes and Smiling Lips--Whose? 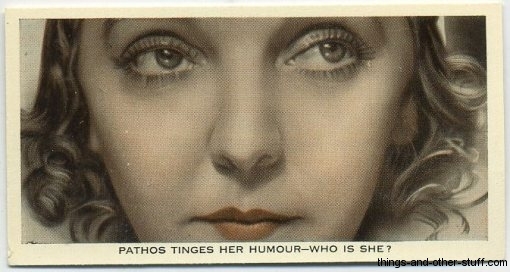 39 - ZaSu Pitts - Pathos Tinges Her Humour--Who is She? 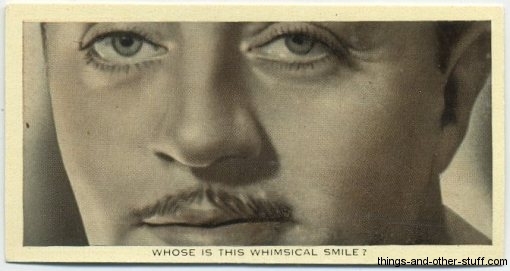 40 - William Powell - Whose Is This Whimsical Smile? 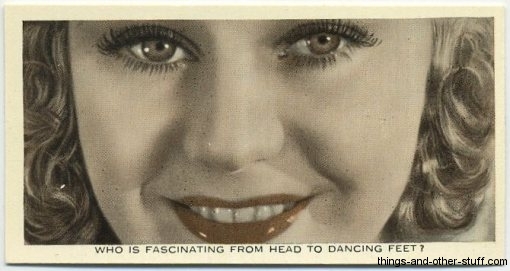 41 - Ginger Rogers - Who is Fascinating From Head to Dancing Feet? 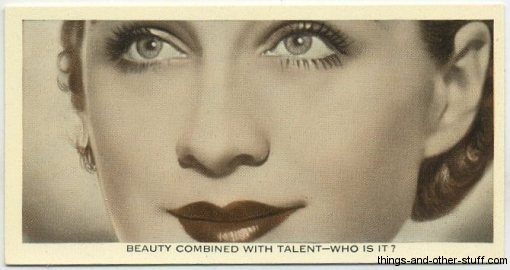 42 - Norma Shearer - Beauty Combined With Talent--Who is It? 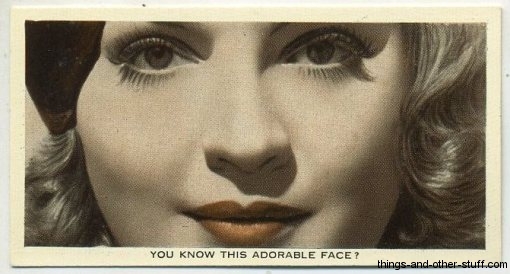 43 - Anna Sten - You Know This Adorable Face? 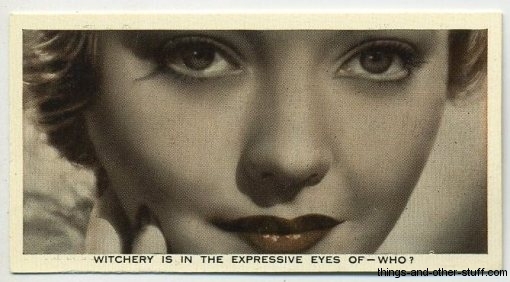 44 - Sylvia Sidney - Witchery Is In the Expressive Eyes of--Who? 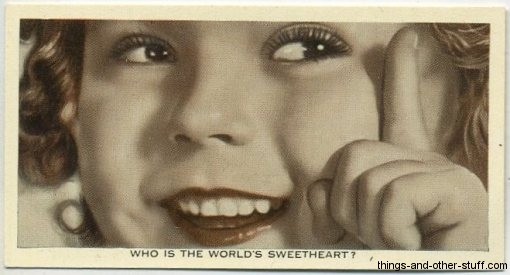 45 - Shirley Temple - Who Is the World's Sweetheart? 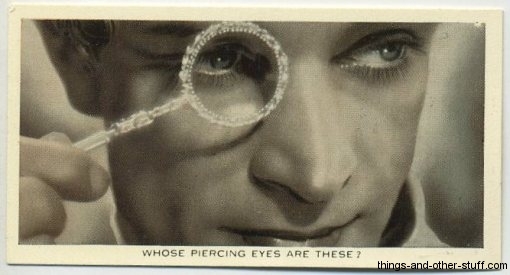 46 - Conrad Veidt - Whose Piercing Eyes Are These? 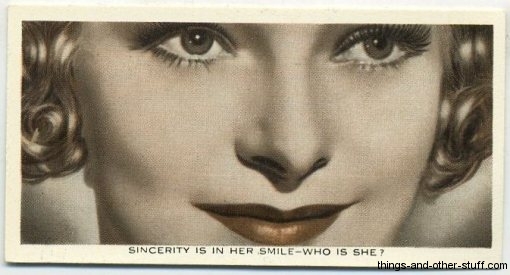 47 - Helen Vinson - Sincerity Is In Her Smile--Who Is She? 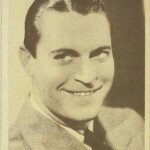 48 - Tom Walls - Who Is This Popular Film Star Sportsman? 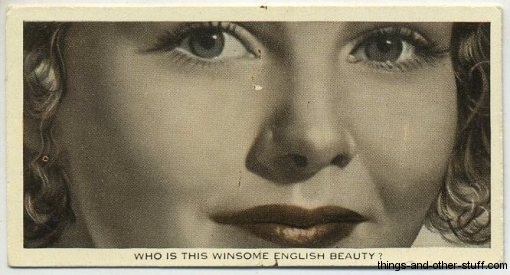 49 - Diana Wynyard - Such Classic Beauty--Who Is She? 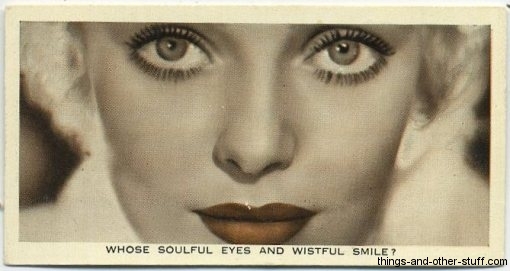 50 - Loretta Young - Whose Soulful Eyes and Wistful Smile?